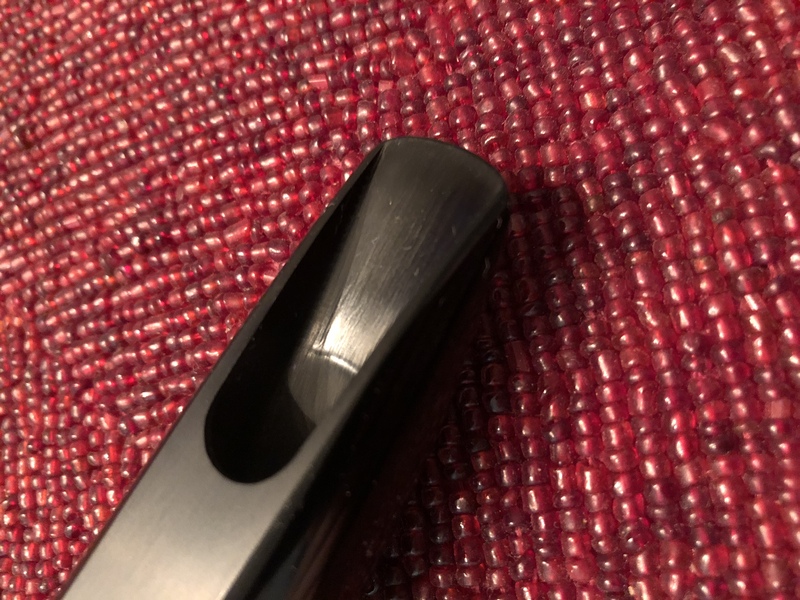 My 1st Category alto mouthpiece is finished, and it’s incredible. Category 1: Full, warm, and colorful sounding mouthpiece category. Built to outplay the classic Meyer Bros medium chamber alto mouthpieces! Think Cannonball here! The warmer of my alto mouthpieces with a harmonic richness not found in more traditional designs. This is not dark or stuffy by any means. You can play as quiet as you want and as loud as you want and I designed it so it would not be as bright or punchy as the Showboat model, but still have loads of power available. For me, absolutely way more fun to play than the vintage Meyer Bros while keeping the tradition and classic alto sound associated with those pieces, but with more going on. Think Cannonball here! This is my original design made to outplay The Meyer Bros! Aren’t you tired of seeing vintage copy rip offs of that same model from every mouthpiece maker out there? I can tell you as a pro player for over three decades, that I really appreciate having original and fresh designs to choose from. This has a medium facing curve for the player that digs the Meyer, Brilhart, Selmer type of blow. It has straight side walls, and a long and lower baffle. There isn’t an alto mouthpiece in existence that looks like this. I am very proud of my designs. Very classic sound here with a classic feel. Cannonball was on my mind here, so I’ve named it, “Daddy-O”, for his song “One For Daddy-O” off the killer “Somthing Else” album. I will offer the 3 categories like I do with my tenor mouthpieces. This mouthpiece is a complete joy to play. Nothing to do with a Meyer design, and I am proud of that. 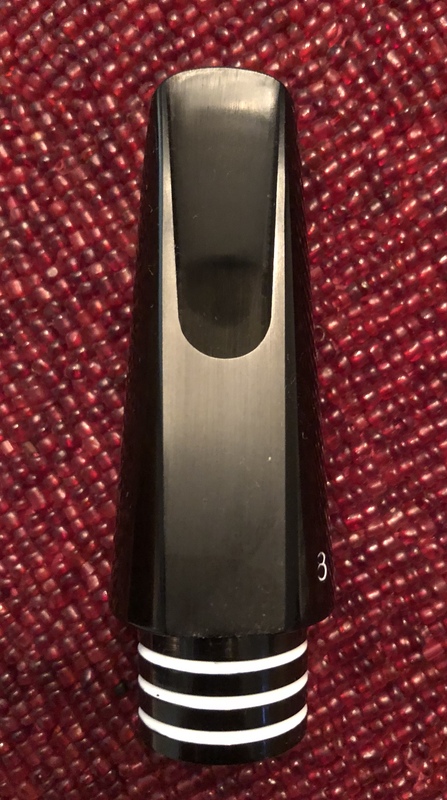 People will ask what it sounds like, and my answer is, it sounds like what I envisioned my 1st Category alto mouthpiece to sound like and play. The feel, the sound…the whole experience. Eric Falcon has many prized Meyer Bros altos at his home. He told me that both of my alto mouthpieces outplay his Meyer Bros pieces. So much so, that he has made the switch to my Showboat alto for his main alto mouthpiece, for that extra punch and fullness he loves. 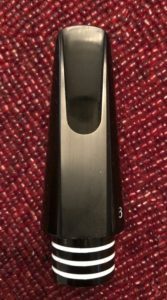 “ The category 1 mouthpiece has a more balanced harmonic profile and is more efficient. Timbre is more consistent from loud to soft”. Simplified; this piece has straight sidewalls, a very long but lower baffle, and a medium chamber. It was designed to be able to be played warm and full, with excellent power and great altissimo. It will stay in that warmer zone for you top to bottom. This piece has a 40 length facing curve and will be enjoyed by guys that dig the classic feel with more power available. If you dig Meyers, Brilharts, Selmers, etc…, this will really impress you.